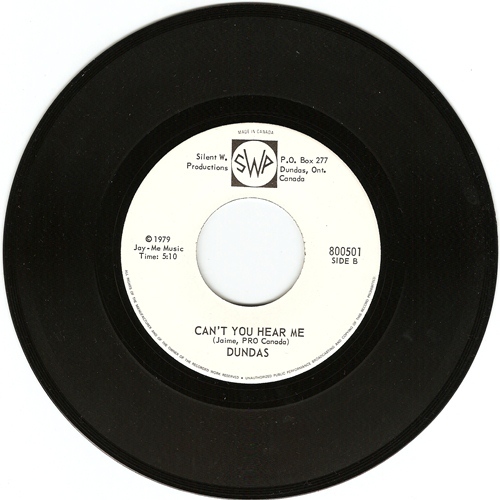 I doubt anyone with a close mind will dig this one, but to me Dundas manage to mix 60’s garage rock and punk’s DIY ethos and attitude in the same way as ‘O’ level’s did. 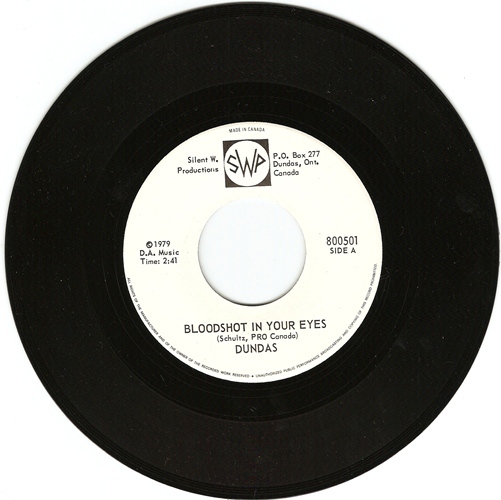 Bloodshot in your eyes is one of the best songs I’ve heard in quite some time, no matter what you knuckleheads will say about it. The b-side sort of reminds me of Neil Young here and there, which ain’t a bad thing, but the song just don’t do it for me in the same way the a-side does. Pretty good stuff. The a-side also reminds me quite a bit of Neil Young. The singer definitely recalls 70s Neil. You’re right Ed. I was just so impressed by the song in general to see the simularities with Neil Young. When I played it at home a few days ao, my better half asked me why I never played her that Neil Young song before. blood shot in the eyes is one of the best songs i have heard in months. thanks from new orleans.